We are ready to offer Sunflower Kernels 2014 crop. We work with producers with cleaning machinery to meet the most stringent requirements. The 2014 crop is progressing well. The crop appears to be early, and probably neither a large, or a small crop as measured on a per-acre basis. Shipments are still running ahead of last year by about 10% overall. Water is still a concern. Market prices are holding firm. same period last year (April 20, 2013). This is still not a surprise since the 2013 crop was estimated to be larger than 2012 crop. of the final total harvest of 311,089 tons. The 2013 crop was earlier than the 2012 crop, so this 95% vs. 99.75% is consistent with expectations. Shipments: for the month of March of the Natural Seedless (91% of total raisin shipments) were up 42% for export, and up 8% for US domestic, for a combined weighted average increase of 21%. YTD shipments of Natural Seedless now stand at an 11% increase compared to last year. The European market remains responsible for the majority of the increase with YTD shipments up 48% compared to last year. This remains most likely a result of the short 2013 Turkish crop. 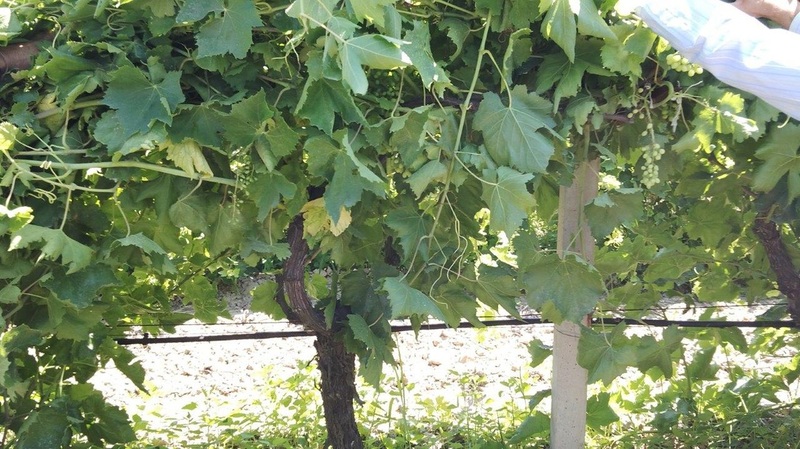 Shipments of all varietals are up 10% compared to last year. remain firm, with prices for organics and Natural Seedless Midgets increasing due to supply concerns. 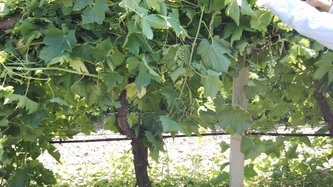 In the vineyard, vines are well-developed as demonstrated in the attached picture. 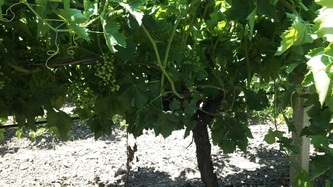 The clusters are beginning to show signs of the impending bloom. The lack of rain remains a major concern. There is a cooling trend forecasted for early this week, warming, and then cooling again with a slight chance of rain for the weekend. Eric Paasche will visit Anuga from Sunday Oct 6 till Tuesday Oct 8. Please see our employees section for contact information. Denne artikkelen stod i Aftenposten i helgen. Jeg fikk den tilsendt av en kompis og hadde lyst til å dele den. Mange vil sikkert kjenne seg igjen. I hvert fall syntes jeg den var veldig artig. SAN PEDRO YEPOCAPA, Guatemala — Across Central America, even as rains arrive, many coffee plantations contain only spindly, nearly defoliated bushes, the result of a blight known as coffee leaf rust whose devastation, so far, has yet to affect the prices of premium highland coffee that baristas serve around the developed word. But while Americans have yet to feel its effects, the blight may soon prove to be as disastrous as any earthquake or volcanic eruption to afflict Central America. Already, it s knocked nearly half a million people out of work and driven up crime. And the crisis is only beginning. It may soon send a stream of new migrants toward the United States, speed up deforestation and invigorate illicit narcotics production. It also serves as a bellwether on climate change, which appears to be causing temperatures to rise, taking plagues and infestations to higher elevations that once were considered too cool and dry for the rust fungus. below. And now, it s up to 5,000 feet. It never would ve been this high before. No one imagined that it could thrive in that environment and go airborne, said Christian Wolthers, a past president of the Specialty Coffee Association of America who imports green coffee from his base in Fort Lauderdale, Fla.
Wallengren, an independent coffee analyst based in Mexico City who predicts that the disruption to families will be far greater than just the economic costs. It s not something you can get under control in a year. Other agricultural sectors, such as sugar and palm oil, cannot pick up the slack from unemployed coffee workers, and since devastated coffee farms are often clustered together, pockets of unemployment soar. and poppy, which provides the opium latex used to make heroin. Some will stop producing coffee and will produce other crops, including illicit ones, Leporowski said.Guatemala is likely to never return again to producing 4.8 million 100-pound bags of coffee that it grew just two years ago, he said. As small farmers flee from coffee to other crops, they will chop down some of the shade trees needed to protect Central American coffee from the tropical sun, leaving cleared mountain fields subject to erosion, which in turn will add sediment to rivers that originate in the highlands. There s going to be an environmental impact as well, Leporowski said. Central American coffee, while renowned for aroma and flavor, comprises only 12 percent of world production but holds an outsize role in specialty coffees. said Peter Giuliano, director of the Specialty Coffee Symposium, an annual confab for coffee professionals. What are Folgers, Maxwell House, Kraft, General Foods, Starbucks and Dunkin Donuts going to do? They ll start mixing more Robusta in bags of Arabica, said De Leon of the coffee growers cooperative Fedecocagua. No solution will come quickly. To combat rust, farmers have to spray their plants aggressively and in the worst case prune them back to a foot and a half from the ground or replant entirely. In either case, it can take three years to begin producing coffee beans again. prevention, not only using fungicides but pruning and planting resistant varieties. Organic farmers like Keller, with recourse only to metallic fungicides, usually using copper, are reeling, and some are even considering returning to chemical use despite heavy investments in mastering organic systems. Visibly downcast, Keller, whose farming techniques include using manure from 300 goats that graze on ground cover at his plantation, surveyed a nursery with 30,000 coffee plantings. All were infected with rust and would have to be discarded. All he can hope for, he said, was a rise in global prices which instead have plunged. Arabica coffee is selling at less than $1.30 a pound, a price not seen since September 2009. Guatemala and Central America as a whole has a lot of microclimates and a lot of great coffees that are worthwhile to sustain, he said. If the market prices were to rise, he added, a lot will be able to get fixed.